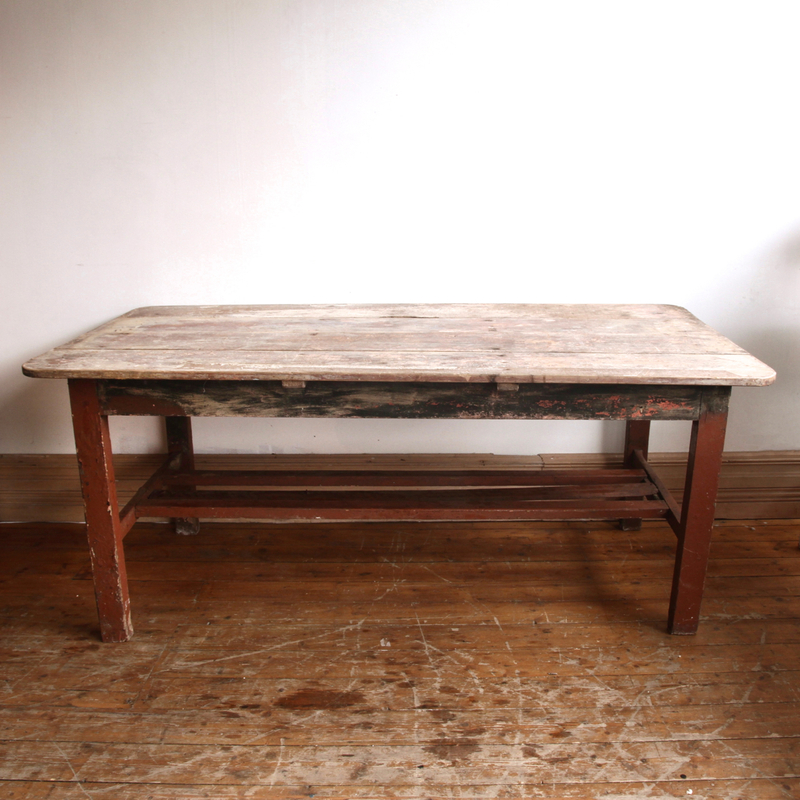 This wooden scrub top table has been salvaged from an Irish farmhouse. It’s original wooden top give the table a rustic charm that can’t be imitated. It has been sympathetically restored to retain the original patina. The burgundy painted legs are the original paint. It is an ideal 6-8 seater.